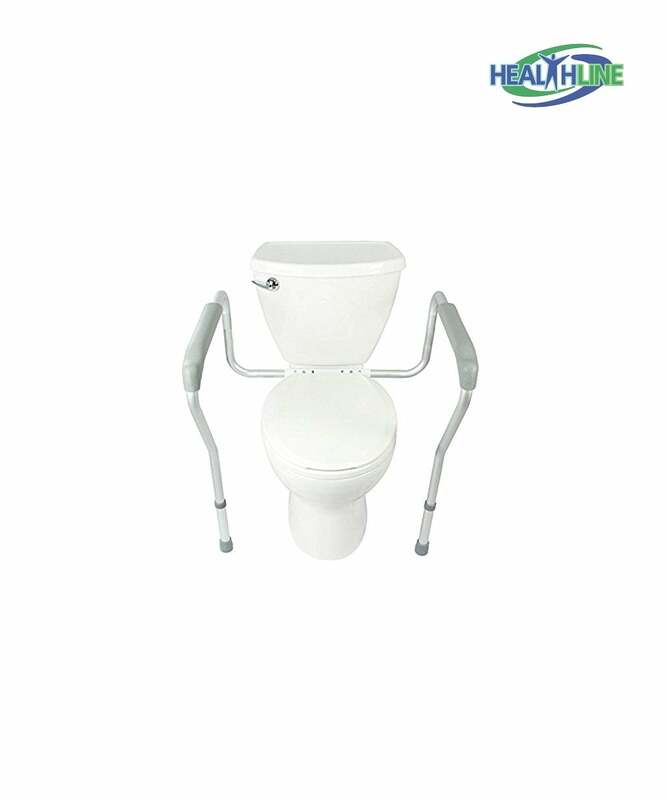 The bathroom safety aids, a toilet safety frame (legs with handlebars) is a primary solution for almost any bathroom, especially for the families that have elderly, disabled, semi-disabled or post stroke recovering members. The safety fixture works great to support a person standing up. This feature is very fitting for patients that have limited range of motion due to an injury or a health condition. 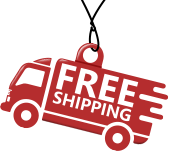 The safety frame has two legs and two rubberized handles. Each leg comes complete with a rubber non-skid tip for stability and control over the process. This fixture is very suitable for patients that have a caregiver, it will reduce load and the risk of a strain for them as well. The safety frame with legs helps a patient up and down when going to the bathroom. This safety fixture is designed to adjust in width from 18.5 to 22.75 inches. This way it may also fit well for bariatric patients. 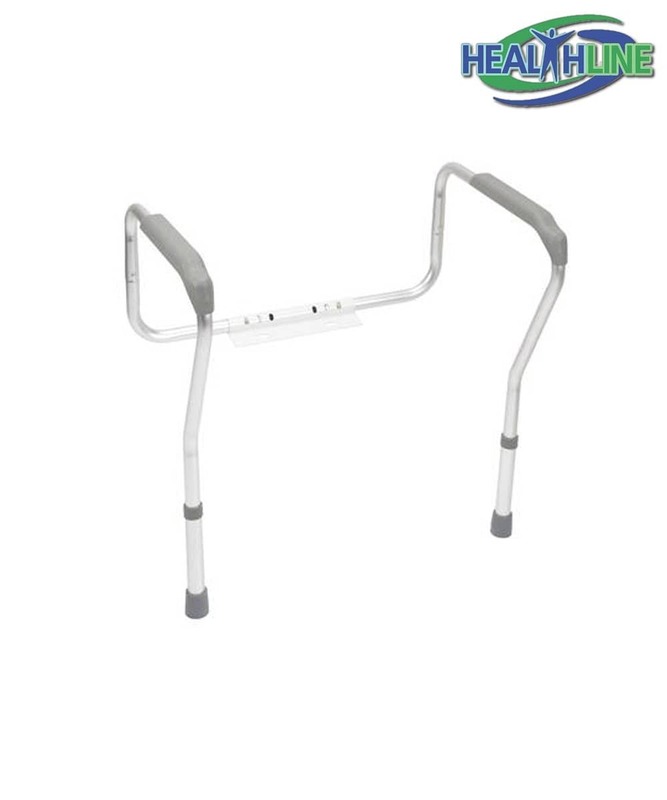 Made from sturdy aluminum, this frame provides support and stability, reducing slip and fall risk. 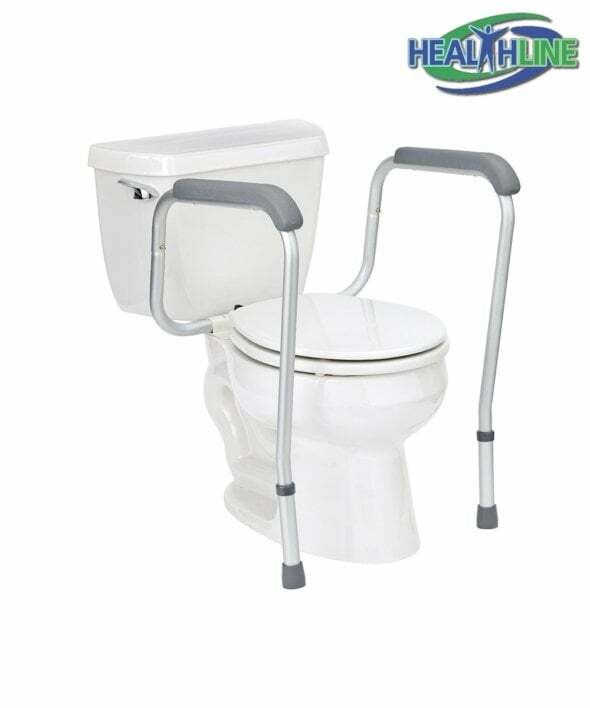 Legs are powder coated and smooth, they easily get attached to the toilet. 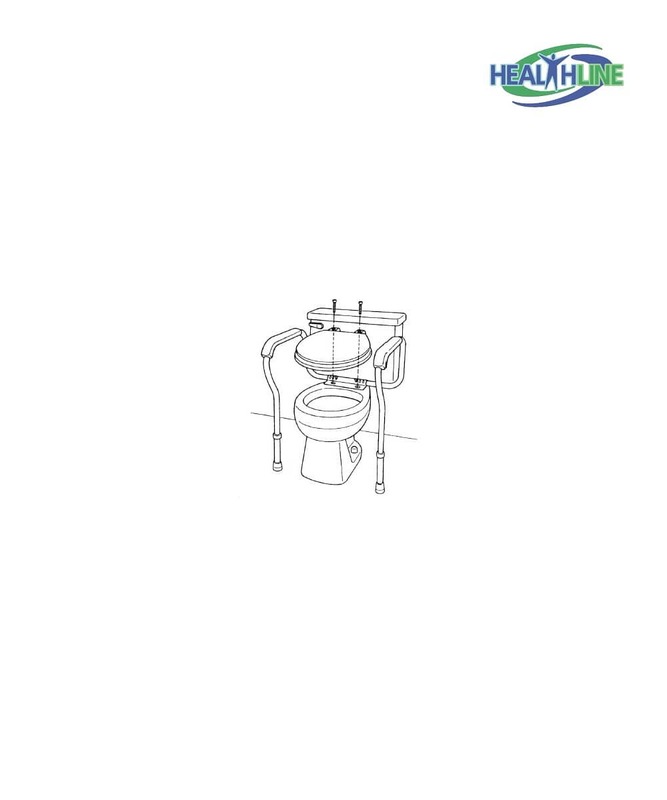 Just remove the current toilet seat cover, set up the safety frame fixture with legs and put the seat back on.